The Doulton W9220402 Sterasyl Ceramic Filter is a self-sterilizing filter that can be re-used over and over again to provide absolute micron filtration down to 0.9 microns, at an economical price. 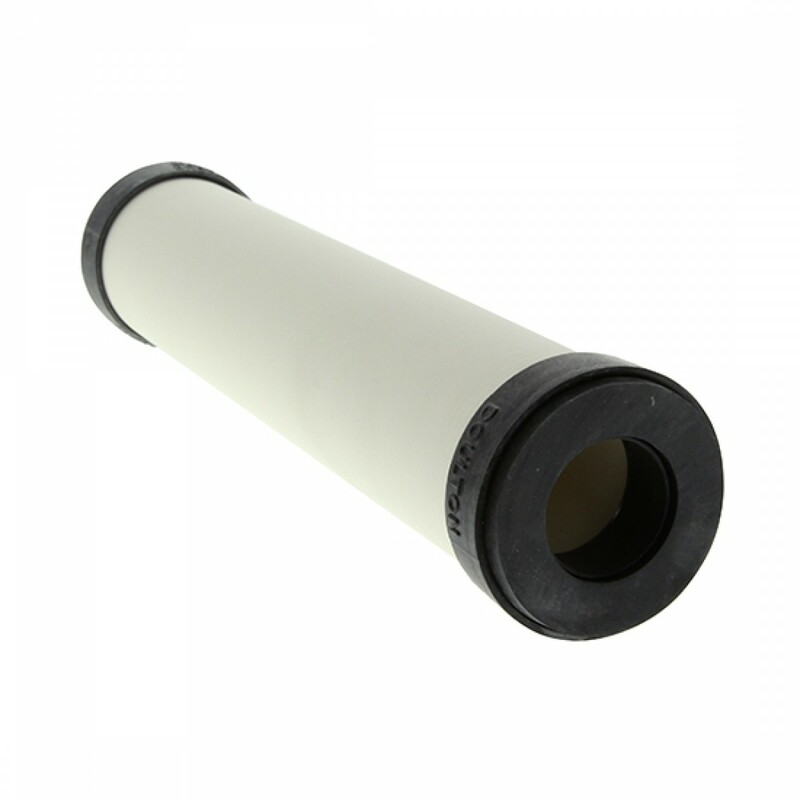 The Doulton W9220402 cartridge is open on both ends (OBE) and fits in standard 10-inch filter housings. The Doulton W9220402 Hollow Core OBE Filter features a Sterasyl ceramic outer shell with no core. The Doulton Slim-Line Sterasyl ceramic shell is silver-impregnated ceramic. The incorporation of silver locked within the ceramic structure inhibits the growth of bacteria and gives each cartridge enhanced bacteriostatic and self-sterilizing properties. Doulton Sterasyl Ceramic Filter W9220402 is ideal for RO guard and post filtration and complimentary to UV systems. The Doulton Sterasyl W9220402 Ceramic Filter is NSF Certified for Standards 42 & 53. Doulton W9220402 OBE water filter fits in standard 10" filter housings.